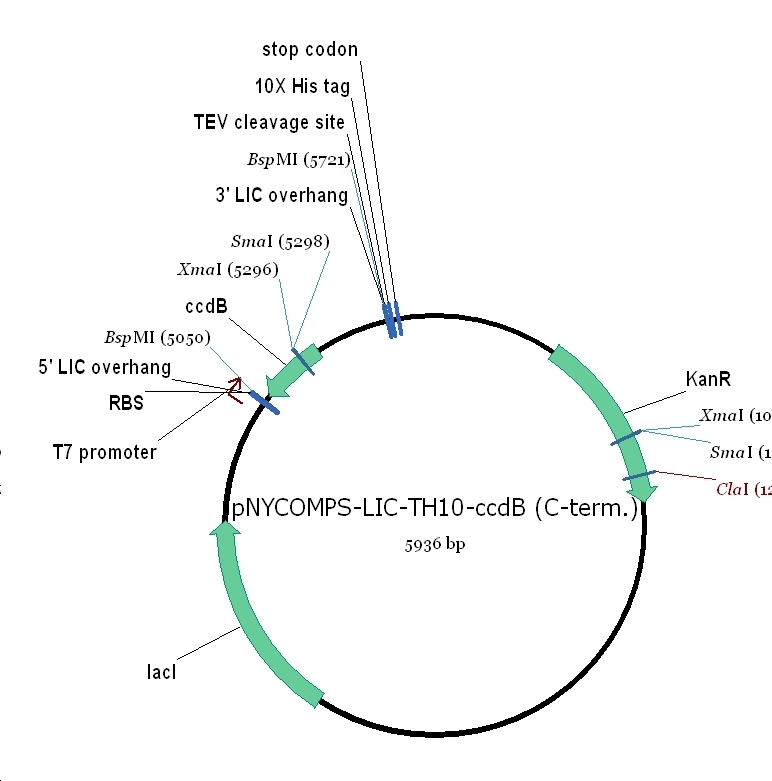 Bacterial (e. coli) expression vector with T7 promoter, C-terminal 10xHis tag and TEV protease cleavage site; contains ccdB death cassette which is removed after LIC cloning; kanamycin resistance in bacteria; ligation independent cloning. Title: High-throughput expression and purification of membrane proteins. Title: High-Throughput Cloning and Expression of Integral Membrane Proteins in Escherichia coli.